We're trying to eat a little better at our house with 3 different goals. One of us is trying to eat more heart healthy. One of us is trying to eat to lose weight. One of us is trying to eat high protein, low fat for athletic training. Hint....the last one is neither Alexis nor I! 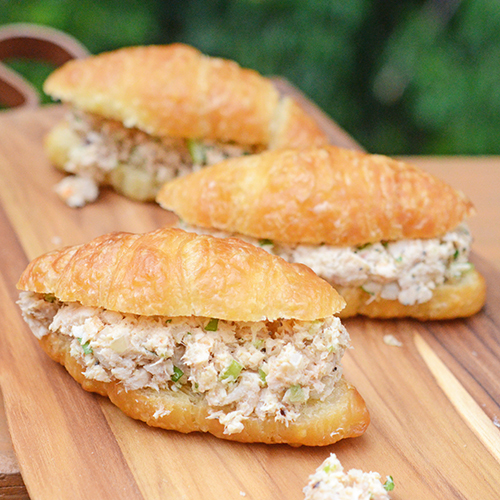 We love chicken salad but our usual recipe for that does not exactly fit any of those three categories. Most of the fat comes from mayonnaise so we cut the fat by using a blend of light mayonnaise and non-fat Greek yogurt instead. The light mayo alone could cut about half of the fat from regular mayo. But by mixing in the non-fat Greek yogurt and light mayo, we cut about 310 calories from fat compared to the chicken salad made with regular mayo. Place all ingredients into a food processor and pulse several times until you get the texture that you like. 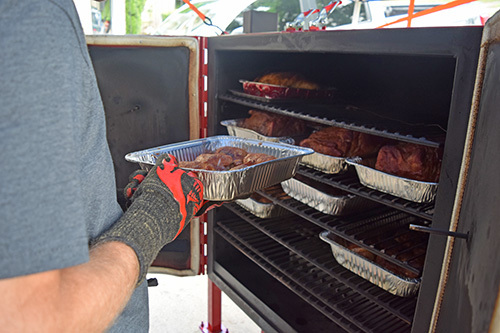 John and I were smoking a bunch of pork butts and beef ribs on the Deep South Smokers GC36. Since we already had it running, we threw some chicken in there too. We love how this thing cooks. 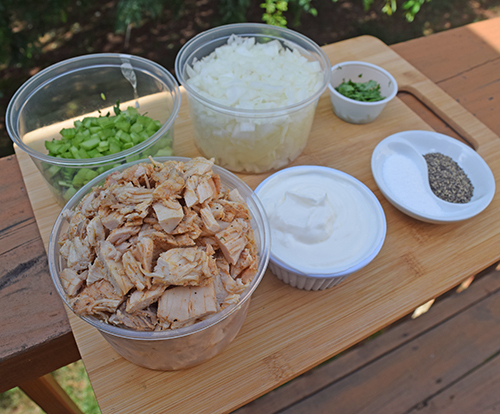 For chicken salad, we smoked a blend of bone in split breasts and bone in thighs. 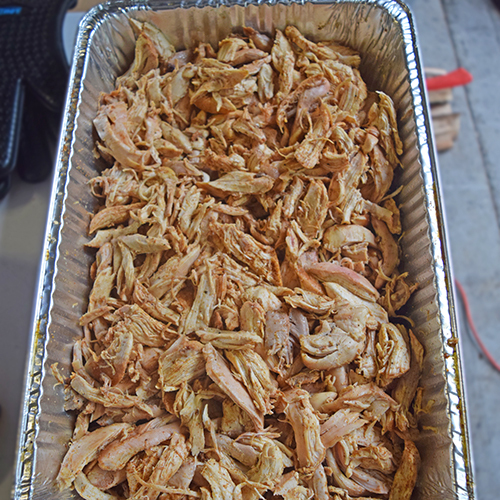 After smoking, we pull off the skin and pull the chicken into chunks like this. Ready to make our chicken salad. The red pepper flake was added later after we tasted. 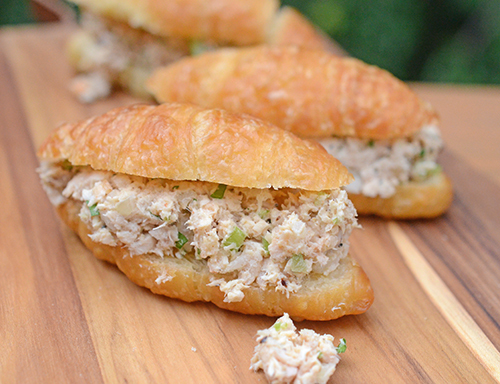 It just gave the chicken salad that pop it needed. If our figures are correct, this works out to about 128 calories per half cup serving.